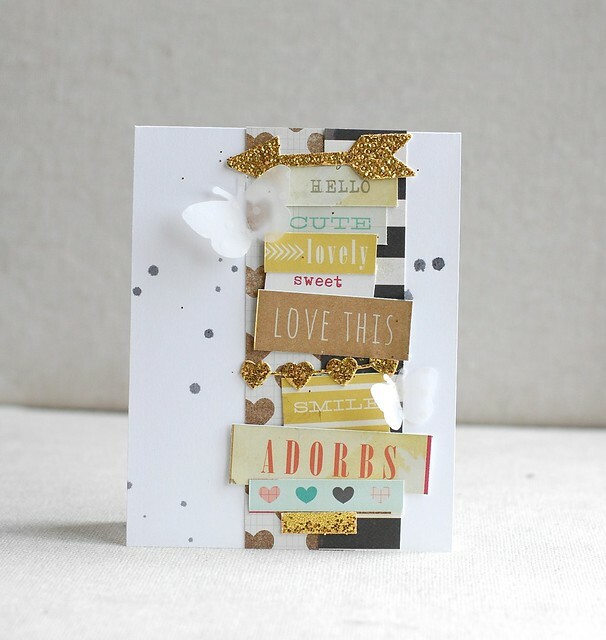 Today I am in 2 places in blogland...on the Crate Paper Blog where I made 2 layouts (yes Layouts!) and 2 matching cards and on the Penny Black blog messing with some embossing paste. I don't know if you know this but I am a scrapper first and a card maker second. Sadly, my love of card making took over for a bit so I am rusty! I am in awe of what scrappers are doing now, but I thought for the old times sake, I would take out some 12x12 paper and give it a go. The theme was stripes and glitter. HELLO!! My favorite! 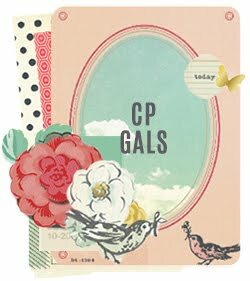 I hope you will stop by the CP blog for all the details. You totally pork, these are amazing, so you. I really love the card/layout pairings, and the PB card is drop dead gorgeous! So pretty! I can see now your magic with LOs...loving them! Everything is stunning! You don't look rusty to me at all! Oh my!! 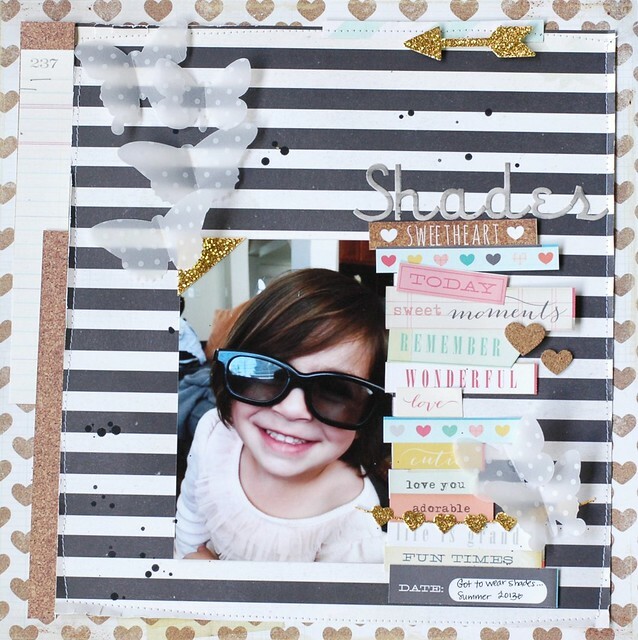 These cards and scrapbook pages are SO gorgeous Wida!! It is like a whole new you!! LOVE them! 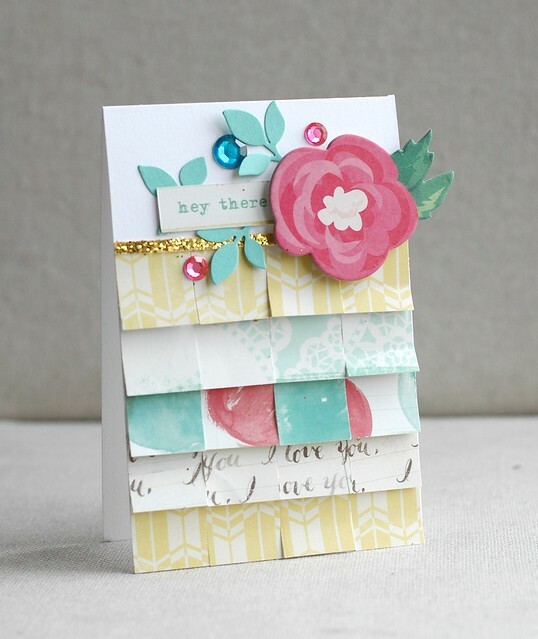 I totally smiled when I saw your layouts and cards on the Crate Paper blog today, Wida! They look fabulous! lovely! i still can't fathom you are a scrapper first and card maker second! I know a Wida who makes cards, there, I said it :) I luv all the projects and the pics are gorgeous! Wowzers .... stunning cards and layouts!! Love 'em all!! Goodness gracious you are amazing!!! Love them all!! As always more amazing inspiration, the total WOW for me is the wide fringe, love love love this idea and would love to try this (if you don't mind sharing your genius) pinned! All of these are gorgeous!!! Love the matching cards and layouts! Stunning!!! Lots of eye candy! Thanks for all of the inspiration!! 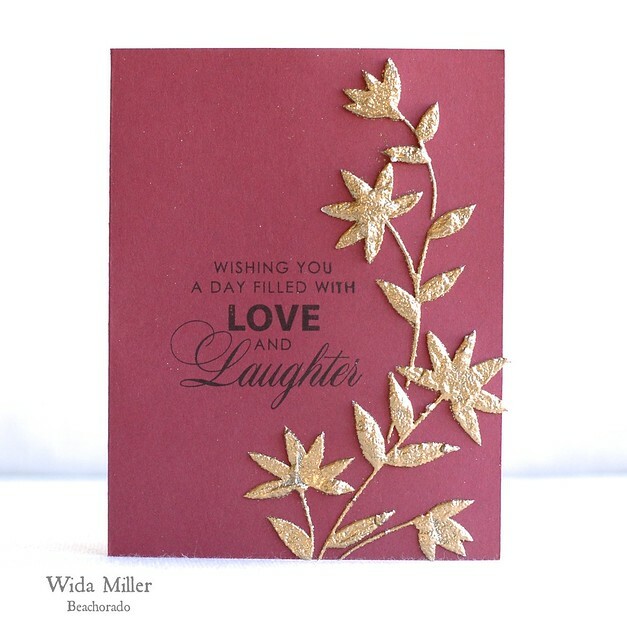 Your Penny Black creation is very effective with the texture & gold really popping against the magenta base card. The way the sentiment it nestled just in the curve of the flower stalks is brilliant. Amazing how the pink of your card ties in with the pink flower of your layout above. Beautiful creations, Wida!!! And congrats on your Penny Black guestie spot!!! AWESOME! Vellum butterflies and GOLDEN elegance....SCRUMPTIOUS! I continue to be totally bowled over by this style that you have completely made your own. So swoon-worthy and beautiful! And more and more you are such a perfect fit for Crate Paper that I hope you are there with them forever! You totally belong there!! Last Day with Penny Black and a Giveaway! Penny Black Blog Day 3 & 4! 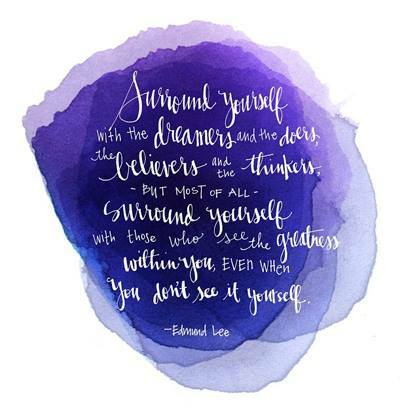 6 Things I am Digging Right NOW!